This great value hop-on, hop-off ticket focuses on just the two main bus routes giving you 1 days unlimited access to the Uptown and Downtown Loops. 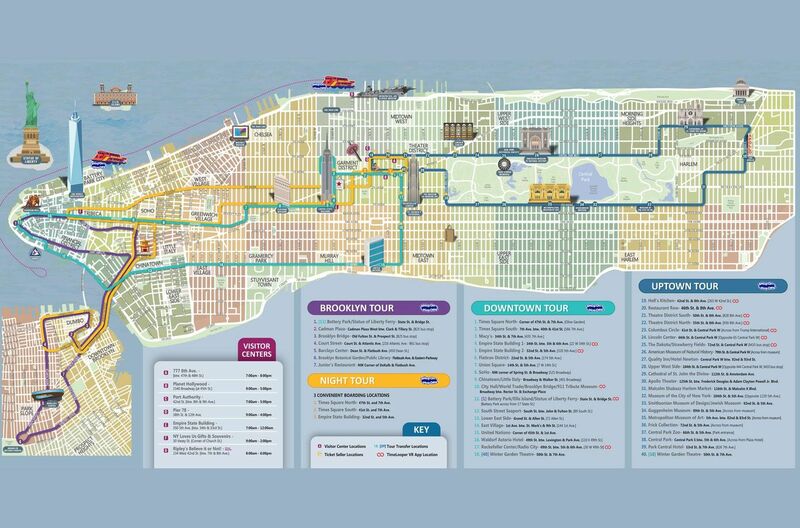 The Downtown Loop takes you through Lower Manhattan and Midtown covering all the main “must-see” NYC site while the Uptown loop takes you all the way from Central Park to offbeat Harlem. The route has over 40 stops. The Downtown Loop covers Broadway, Times Square, the Empire State Building and the 9/11 Memorial, while on the Uptown Loop you’ll have plenty of time for relaxing strolls in Central Park or exploring vibrant Harlem. Hop on and off the open-top buses as often as you wish. While on board you can listen to an engaging audio commentary available in 11 languages English, French, Spanish, German, Italian, Portuguese, Mandarin, Russian, Japanese, Korean and Hebrew. Buses run from 8:00am to 6:00pm on the Downtown Loop and 9:00am to 5:00pm on the Uptown Loop with frequent departures. Vouchers must be exchanged at the Gray Line CitySightseeing New York Visitor Center At 777 8th Avenue, between 47th and 48th Streets. Once you have exchanged your voucher at the Gray Line CitySightseeing New York Visitor Centre, you can board the double-decker bus from any of the stops. The process of purchasing was good. Did not really have a good experience redeeming the vouchers to actual tickets to use for the bus tour.